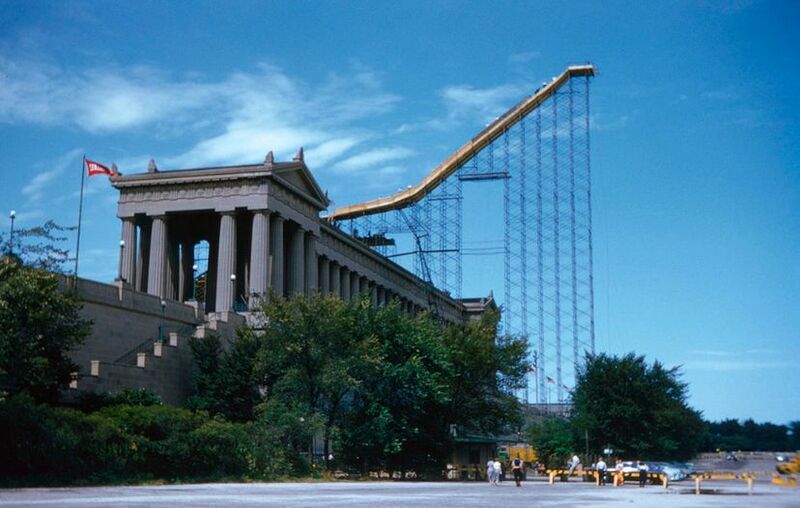 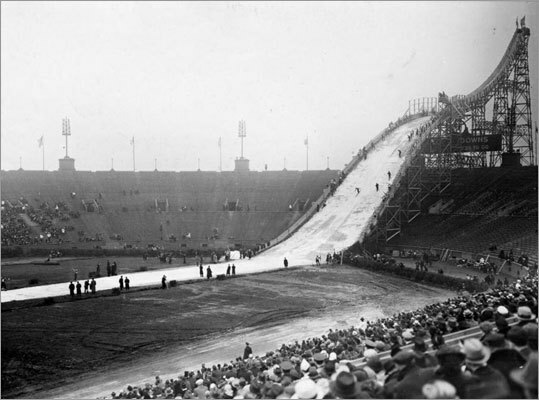 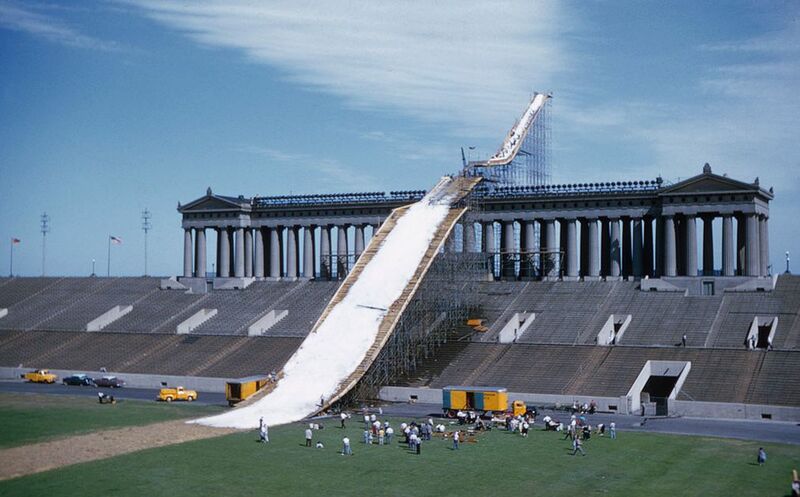 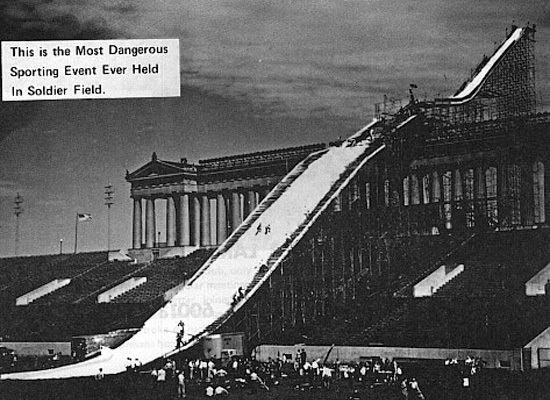 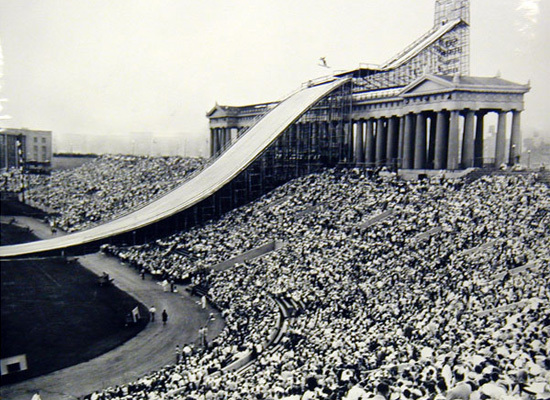 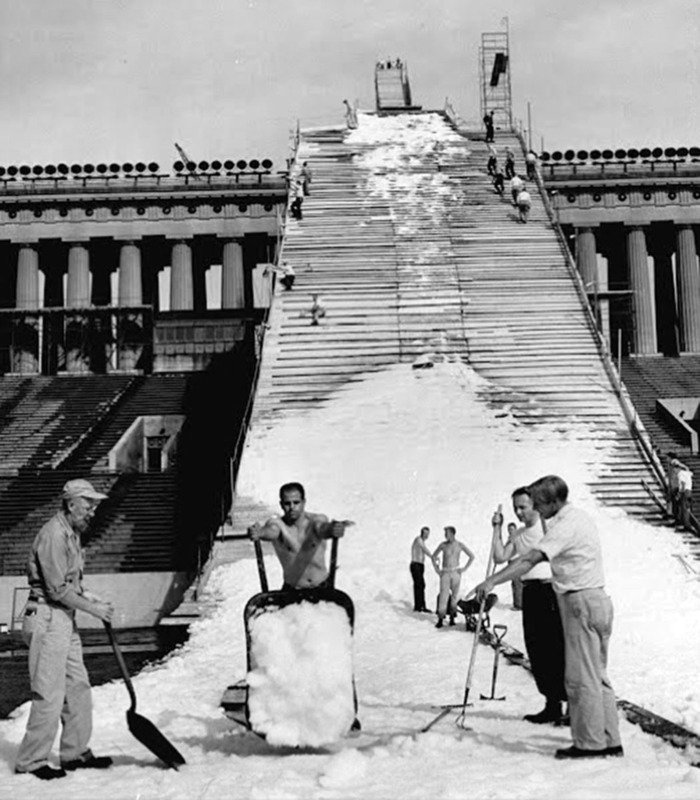 The jump was standing in the Football Stadium of Chicago, the Soldier Field, in around 1937 and 1954 and was completely wooden. 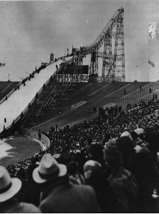 The Norges Ski Club, whose own jumps are in Fox River Grove, hosted the great competitions there. 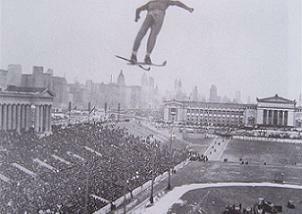 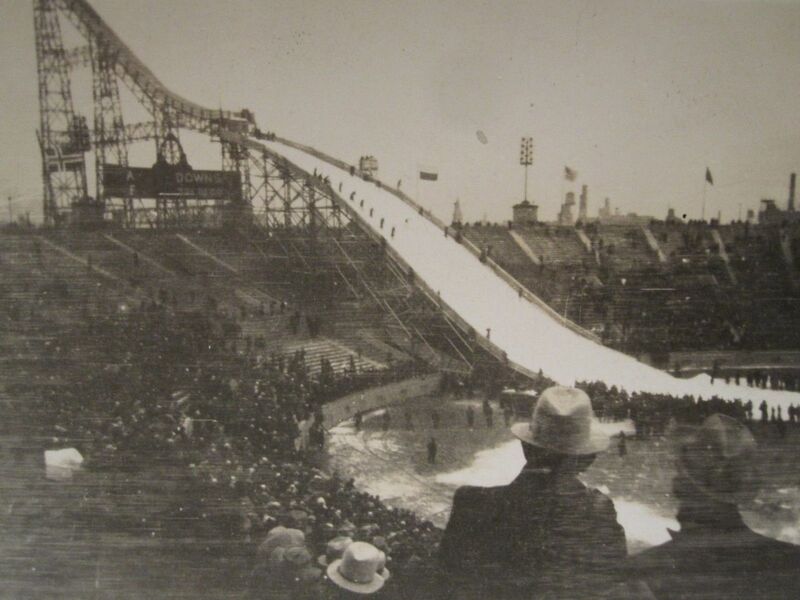 At these jumping events not only the distance was important, but more and more they were exciting trick ski competitions. 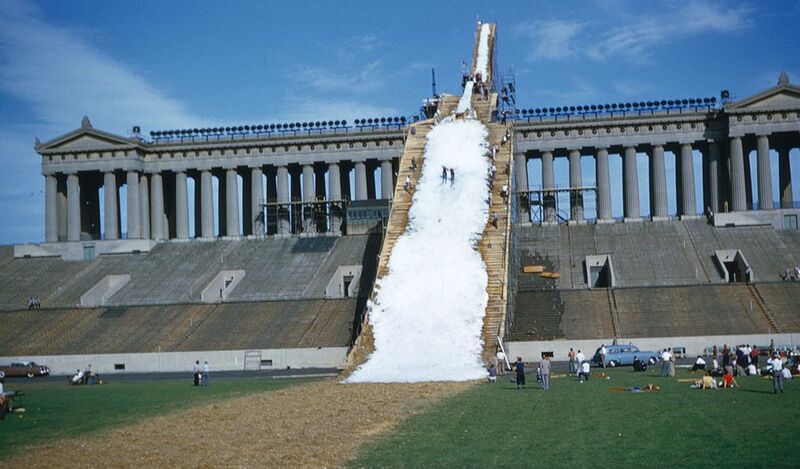 For example there were two jumpers jumping at the same time one beside the other or shortly one after the other.